Feinstein comes out against California's Prop 64, the Arkansas Health Department comes out against medical marijuana initiatives, an outbreak of synthetic cannabinoid overdoses in New York City raises alarms and more reasoned responses, and more. Senator Dianne Feinstein Opposes California Legalization Initiative. US Sen. Dianne Feinstein (D-CA) has formally opposed the Prop 64 legalization initiative. In remarks Tuesday, she said the measure lacked protections for children and motorists and would clash with the state's medical marijuana system. "I am not really for recreational use of marijuana," she said. "Medical use, yes." Arkansas Health Department Opposes Medical Marijuana Initiatives. The state Department of Health said in a statement Tuesday that it opposed such initiatives because marijuana is not approved by the federal Food and Drug Administration and its legalization by popular vote is not grounded in "rigorous" science. A medical marijuana initiative from Arkansans for Compassionate Care has already qualified for the ballot, and the Arkansas Medical Marijuana Amendment has handed in some 106,000 signatures. It needs 85,000 valid ones to qualify. North Dakota Activists Actually Handed in 17,000 Signatures. The North Dakotans for Compassionate Care campaign actually handed in some 17,000 raw signatures for its medical marijuana initiative Monday. Earlier reports had the number at 15,500. It's still going to a nail biter to see if it qualifies for the ballot; it needs 13,452 valid voter signatures. Outbreak of "Synthetic Marijuana" Overdoses in New York City. 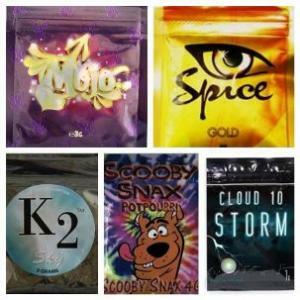 On Tuesday, emergency workers had to transport 33 people suspected of overdosing on synthetic cannabinoids commonly referred to as K2 to local hospitals. Locals and press reports refer to the victims as "zombies." The outbreak occurred at the border of the Bedford-Stuyvesant and Bushwick neighborhoods in Brooklyn. Drug Policy Alliance Responds to K2 Outbreak, Media Coverage. 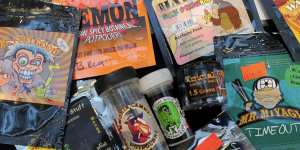 The piece by DPA Director of Academic Engagement Dr. Julie Netherland notes that the synthetic cannabinoid market is completely unregulated and people who use those substances do not know what they are getting. She also points out that one of the primary factors driving the use of such substances is marijuana prohibition. And more. Federal marijuana trafficking charges are on the decline, although it's not clear why; Britain's prohibitionist Psychoactive Substances Act has gone into effect, Toronto dispensary raids cause a ruckus, and more. Federal Marijuana Trafficking Charges Decline in Age of Legalization. According to the latest drug trafficking statistics from the US Sentencing Commission, federal marijuana trafficking offenses have declined dramatically since 2012, the year Colorado and Washington voted to legalize marijuana. "The number of marijuana traffickers rose slightly over time until a sharp decline in fiscal year 2013 and the number continues to decrease," the commission reported. 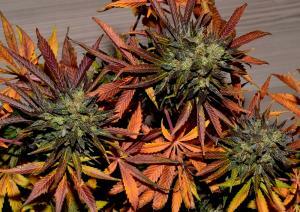 It's not clear why the decline has occurred since marijuana remains illegal under federal law. Massachusetts Senate Votes to Waive Medical Marijuana Fees for Veterans. The Senate Tuesday approved a rider to the FY 2017 budget bill that would waive registration fees for veterans for qualify for the state's medical marijuana program. Other patients would still have to pay the $50 registration fee and an annual $50 renewal fee. British Law Banning "Legal Highs" Goes Into Effect. The Psychoactive Substances Act came into effect Tuesday, essentially banning any substance that has an effect on the brain -- even if it doesn't exist yet. The new law is attracting criticism from activists and scientists, who say it is overly broad and could lead to an increase in the use of more harmful substances. Toronto Police Raid Dozens of Dispensaries. Toronto Drug Squad officers raided up to 43 dispensaries across the city Thursday in a crackdown on the shots, which have proliferated in anticipation of marijuana legalization. Cash and marijuana were seized, and some dispensary employees were temporarily detained, but it's unclear what charges, if any, will be coming. Toronto Police Chief's Press Conference on Raids Disrupted by Angry Protestors. Toronto Police Chief Mark Saunders ran into a buzz saw of opposition at his press conference Friday attempting to explain the raids on 43 dispensaries a day earlier. Saunders claimed the raids were done in part because of health concerns, but was interrupted repeatedly by protestors challenging his claims. "These clubs have literally been around for 20 years and literally the medical marijuana has been around for hundreds of years and have literally never killed anybody. So how do you justify that there's a health concern when really it's the most benign substance you can ingest?" one protestor shouted. Oregon's federal representatives fight to protect marijuana advertising, medical marijuana and CBD bills are moving in the states, a Maryland delegates files bills for drug treatment on demand, supervised injection sites, opiate maintenance (including heroin), and drug decriminalization -- quite a package! -- and more. Oregon Federal Reps File Bill to Allow Published Marijuana Ads. Responding to warnings from the US Postal Service that mailing newspapers or magazines with marijuana advertising is prohibited even in states where it is legal, Oregon's two Democratic senators, Ron Wyden and Jeff Merkley, have joined with two Democratic House members, Earl Blumenauer and Suzanne Bonamici, to file the Marijuana Advertising in Legal States (MAILS) Act (HR 4467). The bill would reverse the USPS policy. "Federal agencies must respect the decisions made by law-abiding Oregonians and small business owners in the state," Wyden said. "Our bill updates the federal approach to marijuana, ending the threat to news publications that choose to accept advertising from legal marijuana businesses in Oregon and other states where voters also have freely decided to legalize marijuana." Michigan Legalization Campaign Getting Close to Signature Goal. The MILegalize campaign says it has already collected some 240,000 raw signatures and is seeking another 100,000 to ensure a comfortable cushion for invalidated signatures. The state requires 252,000 valid voter signatures to qualify for the November ballot. Alabama Bill Would Expand Access to CBD Cannabis Oil. Rep. Mike Ball (R-Madison County) has introduced House Bill 61, which would expand access to CBD beyond a limited study program at the University of Alabama-Birmingham. The new bill would allow parents with a valid recommendation for CBD cannabis oil to possess it in the state. Delaware Bill Would Allow CBD Cannabis Oil for Kids in Schools. Sen. Ernie Lopez (R-Lewes) has filed Senate Bill 181, which would allow authorized caregivers to possess and administer CBD cannabis oil to pupils in school as needed. Utah Medical Marijuana, CBD Cannabis Oil Bills Move. Two medical marijuana-related bills are headed for the Senate floor after winning committee votes. Senate Bill 73, filed by Rep. Mark Madsen (R-Saratoga Springs), would allow whole plant medical marijuana, while Senate Bill 89, sponsored by Sen. Evan Vickers (R-Cedar City), would expand on CBD cannabis legislation passed last year. Florida Bill to Ban Kratom Advances. A bill that would ban the increasing popular Southeast Asian herb, which some are using as an alternative to opiates or as a means to withdraw from them, has passed the House Criminal Justice Subcommittee. The bill, House Bill 73, would make possession of kratom a misdemeanor. 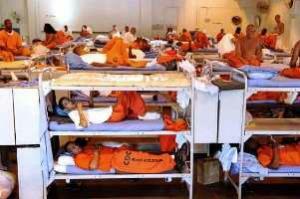 A similar measure seeking to make possession a felony failed last year. Kentucky Bill to Toughen Penalties for New Synthetic Drugs Advances. A bill that would increase penalties for possessing or selling new synthetic drugs has passed the House Judiciary Committee. The bill is House Bill 66. Maryland Bill Package Attempts Comprehensive Drug Decriminalization, Harm Reduction Approach. A set of four bills being filed today would upend the way the state deals with drug use and related problems. One bill would provide for drug treatment on demand in emergency rooms and hospital settings, a second bill would allow for safe injection facilities (there are currently none in the US), a third bill would allow for opiate maintenance therapy, including with heroin, and a fourth bill would decriminalize the use and possession of personal use quantities of illicit drugs. The package is being sponsored by Delegate Dan Morhaim (D-Baltimore County). Utah Bill Would Repeal Welfare Drug Testing Law. Since Utah approved a welfare drug testing law, only 47 applicants out of nearly 14,000 have tested positive for drugs. That's enough for Rep. Angela Romero (D-Salt Lake City) to call for an end to the program. Her House Bill 172 would do just that. It is currently before the House Economic Development and Workforce Services Committee. New Hampshire's governor signs a package of heroin and prescription opiate bills, a similar package goes to the desk of the Wisconsin governor, Illinois patients seek to add more qualifying conditions, South Dakota's GOP governor rejects a welfare drug testing bill, a key Mexican politician endorses pot legalization, and more. Student Marijuana Group Wins Free Speech Lawsuit Against Iowa State University. A federal judge last Friday ruled that ISU administrators violated the First Amendment rights of ISU NORML by barring the group from using ISU logos on its t-shirts. ISU NORML won a permanent injunction against the university preventing it from using its trademark policy to block the group from printing shirts depicting a marijuana leaf. Denver Social Pot Club Effort Gains New Life. A shelved ballot measure that aims at winning approval for marijuana use at some private businesses is being brought back to life by a newly formed NORML chapter. Denver NORML says it is going to take up where advocates left off. Advocates from the Vicente Sederberg law firm and the Marijuana Policy Project had begun such a ballot effort last year, but withdrew and is now seeking a potential compromise ordinance with city officials and other interested parties. But Denver NORML says it time to "get this done." Arizona GOP Rep Withdraws Bill to Cripple Medical Marijuana Program. State Rep. Jay Lawrence (R-Fountain Hills) has withdrawn HCR 2019, which would have barred naturopaths and homeopaths from recommending medical marijuana. Nearly 90% of all recommendations in the state are written by those health care professionals. Lawrence said he withdrew his bill after his office "received so many calls" and he actually learned about how the program works. Georgia Lawmaker Admits Breaking State Law to Help Families Obtain CBD Cannabis Oil. Rep. Alan Peake (R-Macon) admitted last week that he has been going to other states to obtain the medicine and bring it back for patients. Under a law he sponsored last year, CBD cannabis oil is legal for people for certain diseases, but there is no provision for in-state cultivation or sales. "We made sure that families properly registered with the state got access to medical cannabis, including delivering it to them if that's the only way we can make that happen," Peake said. "Maybe at some point there is a need for civil disobedience. It comes down to, 'What would I do if it were my child?'" Peake said. Hawaii Bill Would Bar Patients From Growing Their Own. Now that dispensaries are set to open up in the state, Rep. Marcus Oshiro (D-Oahu) has filed a bill that would prohibit patients from growing their own, instead requiring them to use the dispensaries. The bill is House Bill 1680. Patient groups don't like it. Illlinois Petition Seeks to Prod Governor to Expand Qualifying Medical Conditions. The state Medical Cannabis Advisory Board has recommended adding eight new qualifying conditions to the state's medical marijuana program. The petition is directed at Gov. Bruce Rauner (R) and the head of the state Department of Public Health, who will make the final decision. The petition currently has more than 19,000 and has been endorsed by Melissa Etheridge. Ohio Attorney General Rejects Wording on Medical Marijuana Initiative. State Attorney General Mike DeWine (R) has rejected a third petition for a medical marijuana constitutional amendment. He said there were five discrepancies between the language of the proposal and its summary language. New Hampshire Governor Signs Heroin Bills. Gov. Maggie Hassan (D) has signed into law two bills, Senate Bill 447 and Senate Bill 576 that were part of a comprehensive proposal to deal with heroin and opiate addiction she put forth last fall. The former bill creates a study commission on using naloxone more broadly, while the second increases penalties for the sale of fentanyl, requires insurance companies to use similar evaluation criteria to streamline access to drug treatment, and strengthening the state's prescription monitoring program. Wisconsin Legislature Approves Package of Prescription Monitoring Bills. The state Senate last week gave final approval to the package, which is aimed at reducing heroin use by requiring pharmacists to register prescriptions within 24 hours and requiring police to register prescription drugs found at the scene of an overdose. The package now goes to Gov. Scott Walker (R) for his signature. 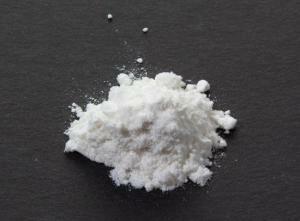 Massachusetts Bill Would Criminalize More Than a Dozen New Synthetic Drugs. State Rep. Tim Whelan (R-Brewster) has cosponsored a bill that would specifically target 19 new psychoactive substances listed as controlled substances by the DEA. The possession, manufacture, and distribution of the drugs would be criminalized under the bill. South Dakota Governor Rejects Welfare Drug Testing. Gov. Dennis Daugaard (R) is not supporting a recently filed bill to require suspicionless drug testing of welfare recipients. He said he had not been enthusiastic about similar bills in the past, that the effort was a waste of money, and it is "somewhat insulting." Israeli Likudnik MK Filed Marijuana Decriminalization Bill. Member of the Knesset Sharren Haskel (Likud) has filed a bill to decriminalize pot possession. Such bills usually come from the left of the Israeli political spectrum. "More than a million Israelis occasionally consume cannabis, and the population that uses it is mostly not a criminal population," wrote Haskel. 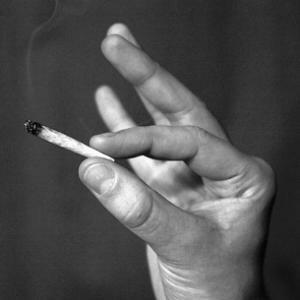 "These are normative people from all parts of society -- academics, public representatives, and others, who consume cannabis in their leisure time." 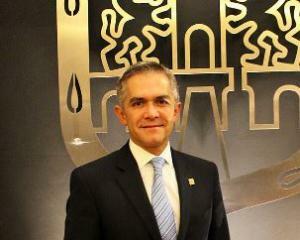 Key Mexican Lawmaker Calls for Marijuana Legalization, Medical Access. The president of Mexico's chamber of deputies, Jesus Zambrano, is calling for both medical and recreational marijuana use to be legalized. "The topic has its international component and efforts need to be combined, particularly between the United States and Mexico, to have common rules, laws that are essentially identical, though each with its own modalities, because we are distinct, but the United States must help our country apply, for instance, legalization of marijuana for medical and recreational use," said Zambrano. 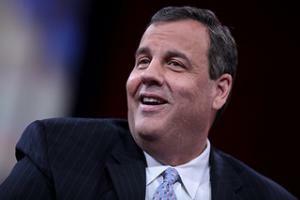 His was the opening salvo in a national debate on the topic that began Sunday.